Going out to dinner on Valentine’s Day is soooo “pre-kids” don’t you think? 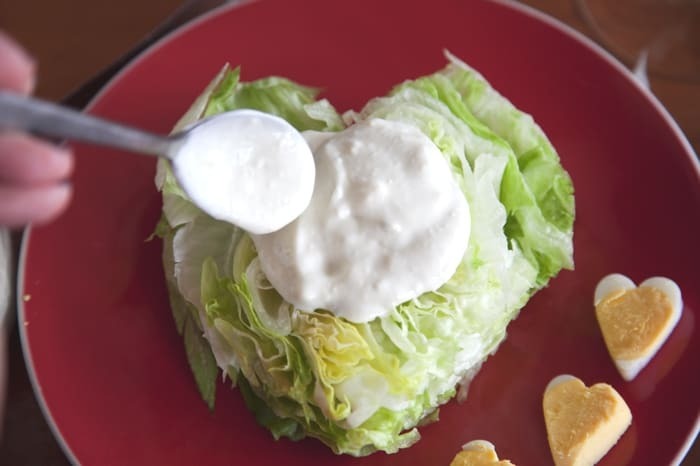 If you are staying in with a steak dinner for 2, or 3, or in our case 5, why not add this classic steakhouse side, the Wedge Salad. 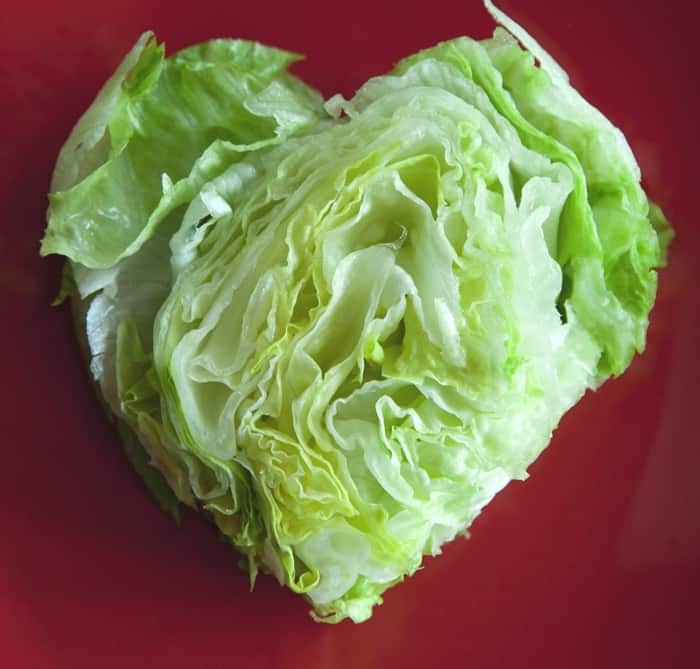 This isn’t just any Wedge though because it’s shaped like a heart! 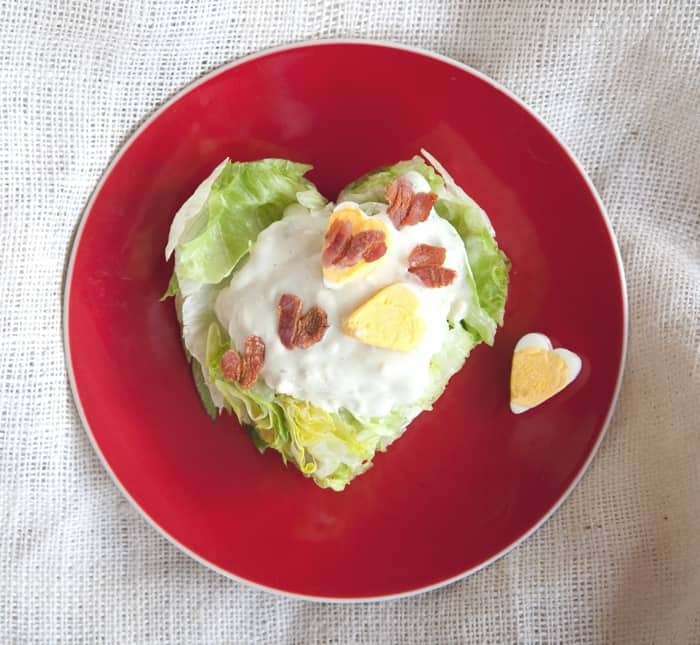 Who can resist a heart-shaped salad? 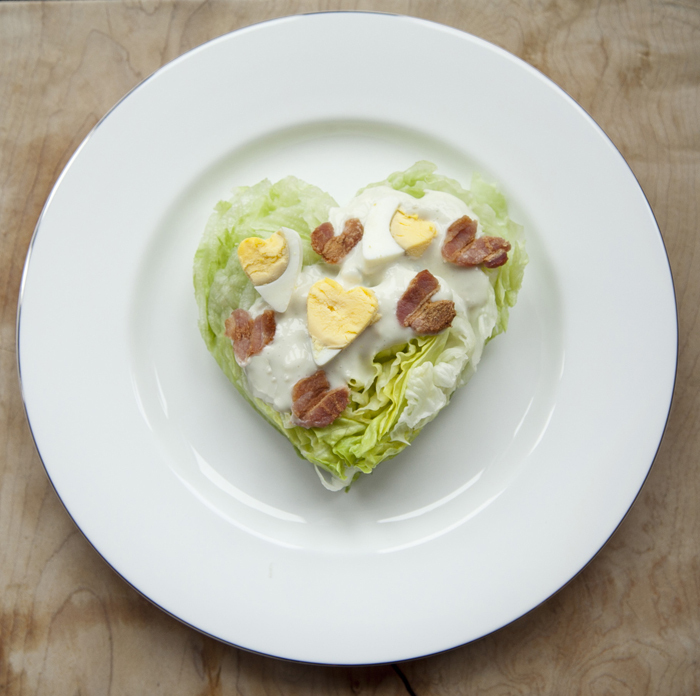 How about a heart-shaped salad topped with heart-shaped bacon? 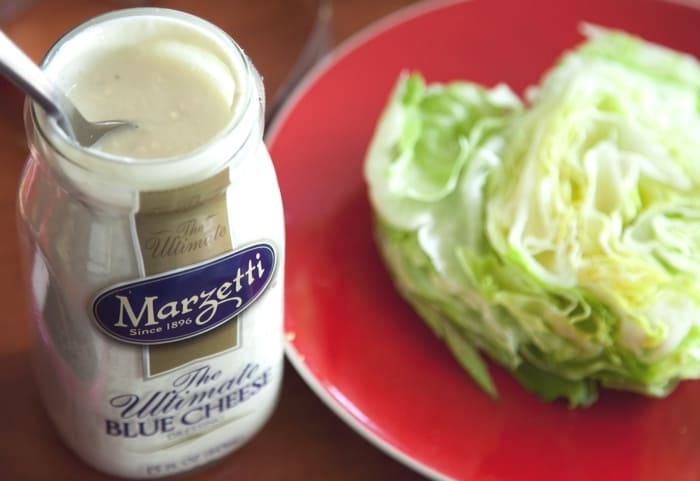 And if that isn’t enough, lather on some Marzetti Ultimate Blue Cheese Dressing. It’s the fancy stuff in the fridge section of the grocery store and the reason we are here talking salads! 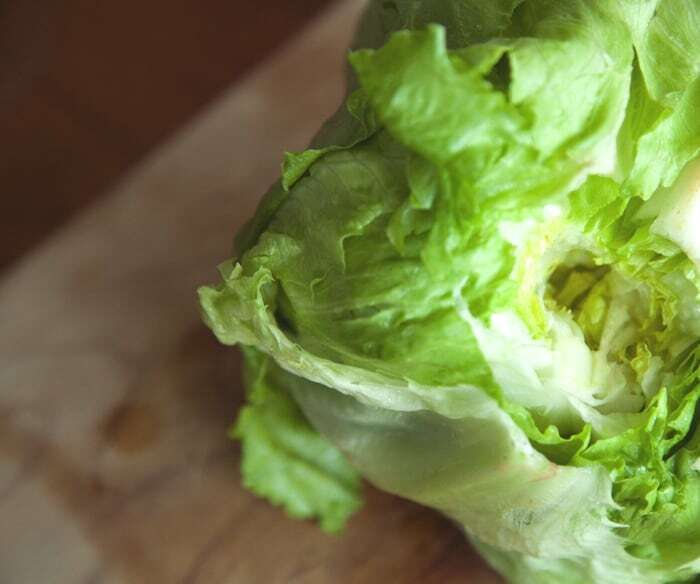 Pick up a head of Iceburg Lettuce. Wash it down and core it. 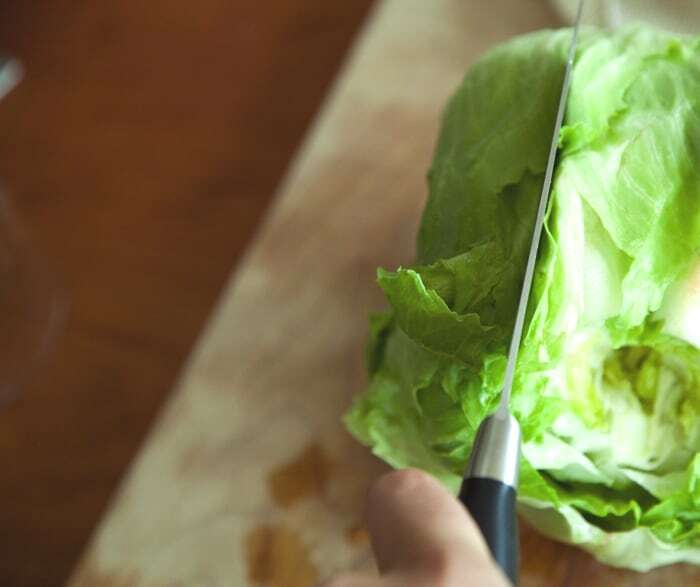 With a sharp knife, slice off a 2-3″ slab of lettuce . 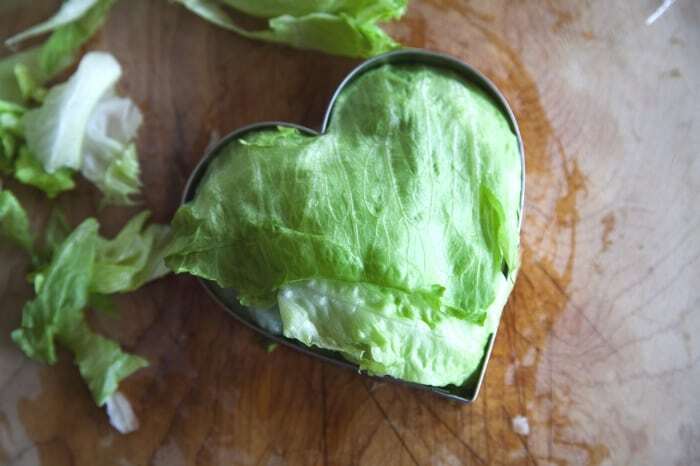 Grab a large heart-shaped cookie cutter and center it on the lettuce. Push down hard on a flat surface until you can easily pull all the extra lettuce from the outside of the cookie cutter. Optional: Dip extra lettuce in dressing and eat standing at island. 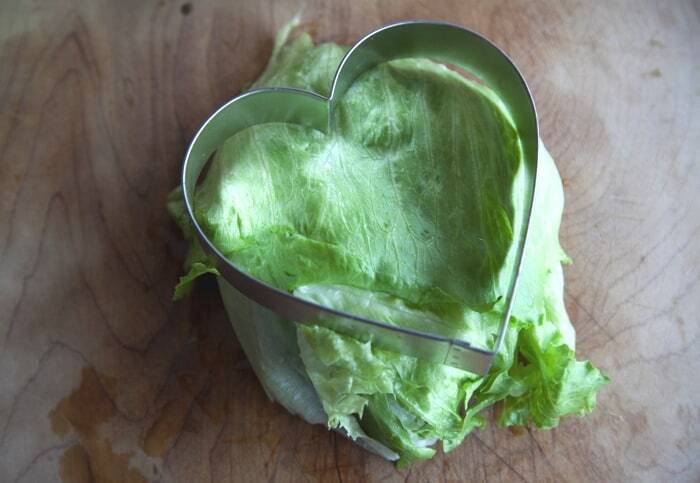 Set your pretty lettuce heart(s) aside with a spatula. 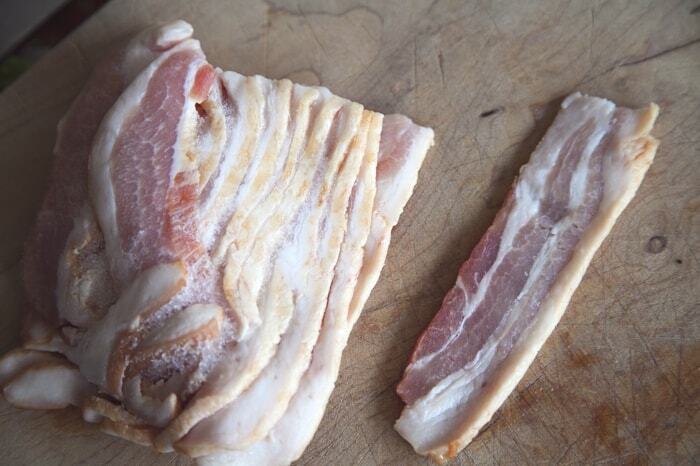 Grab a slice of cold/partially frozen bacon. 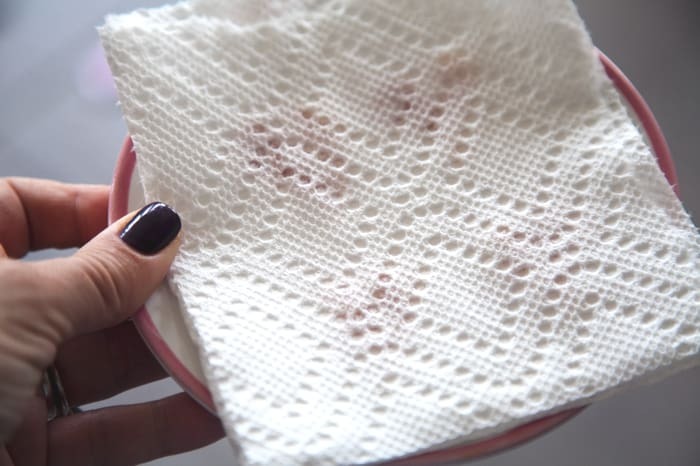 Fold it in half the long way. 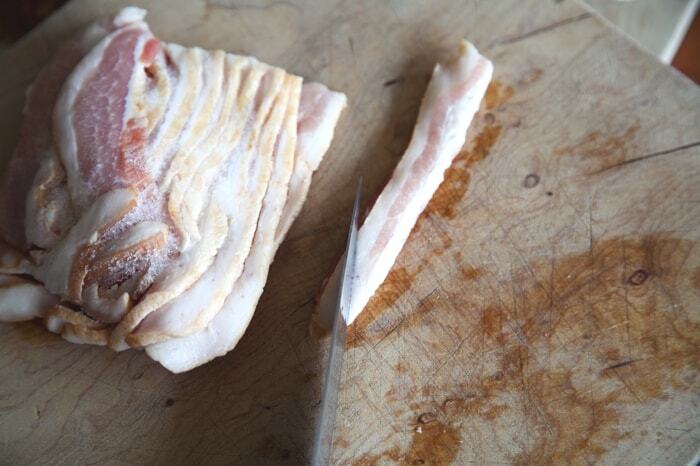 Using a very sharp knife. 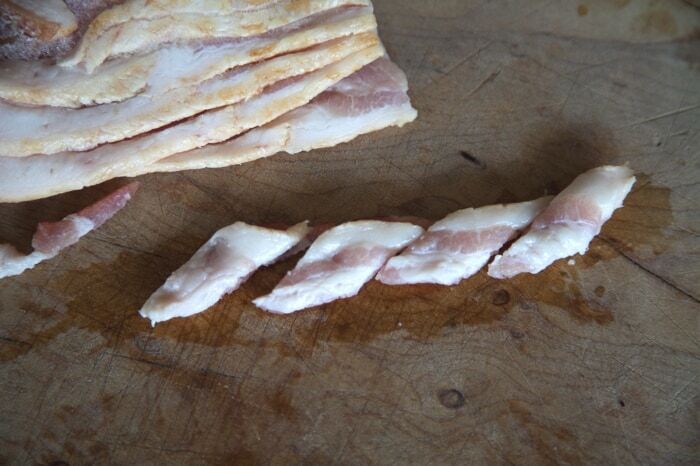 Cut slices at a sharp angle. Open them up and trim the tops. 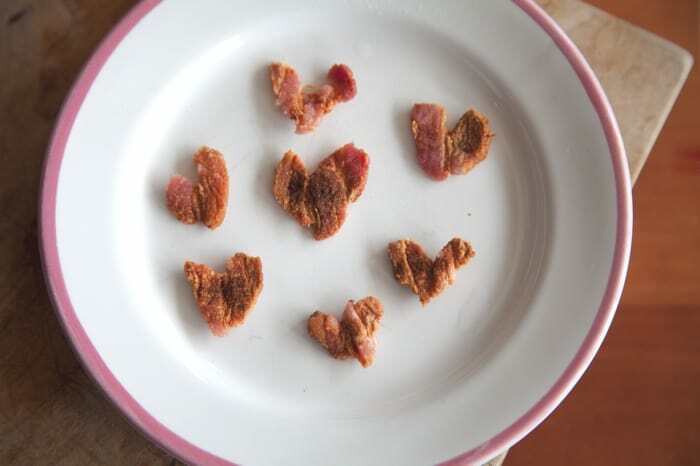 You can also make the hearts easily with sharp kitchen shears. 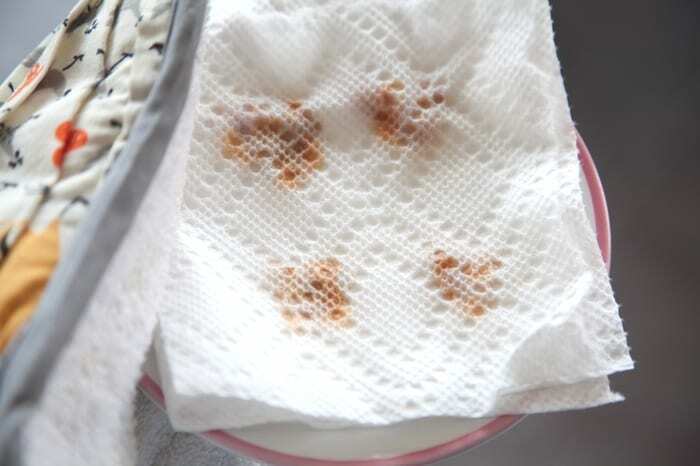 Lay your hearts on a microwave-safe plate over a double layer of paper towel. Add another layer on top. Microwave for 45-60 seconds depending on microwave wattage. 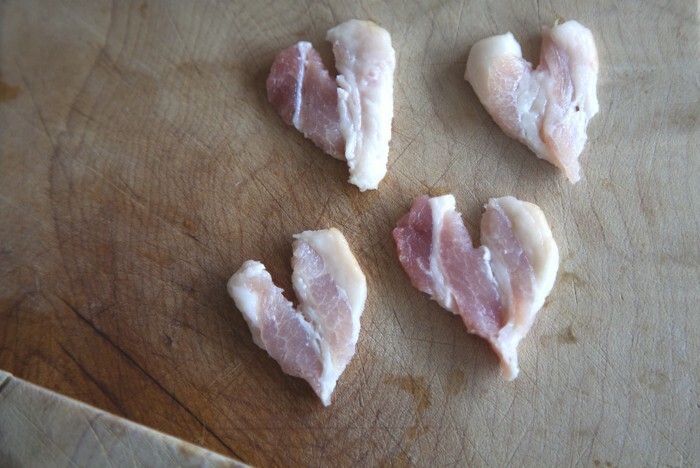 Bacon hearts! Optional: Eat the one that looks least like a heart. 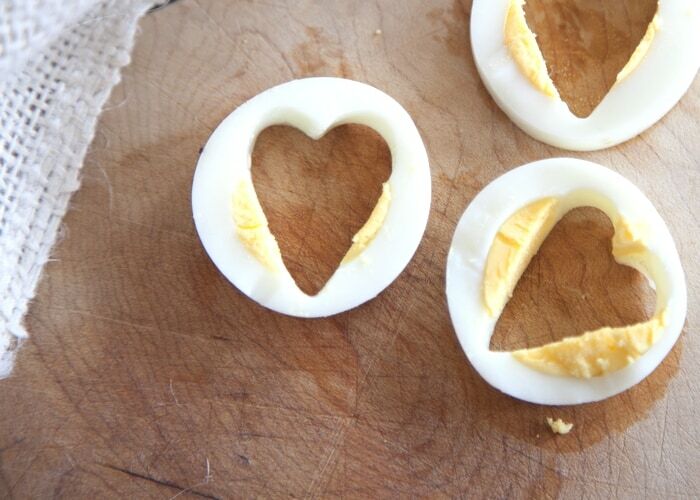 Use a smaller cookie cutter to cut hearts out of slices of hard-boiled eggs. 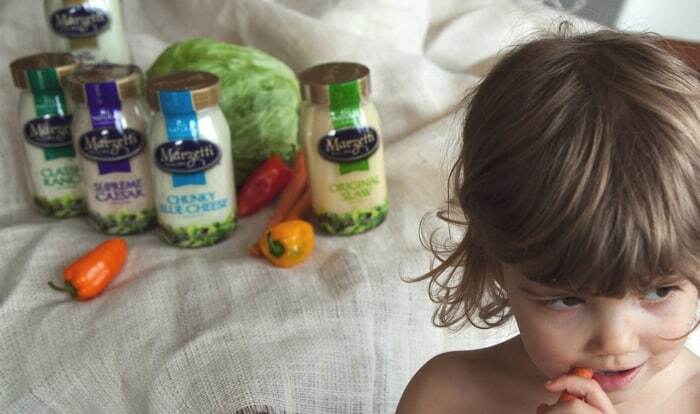 Close to serving time, top your lettuce with a delicious scoop of Marzetti Dressing. 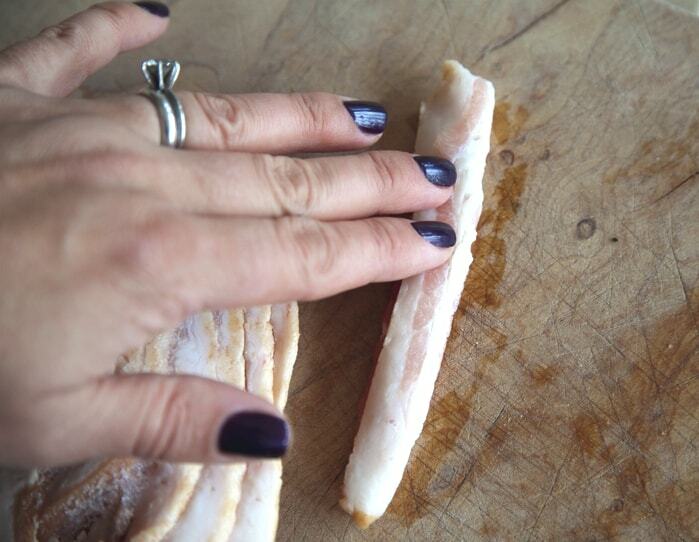 Add your tasty eggs, bacon and a spritz of fresh ground pepper and enjoy! 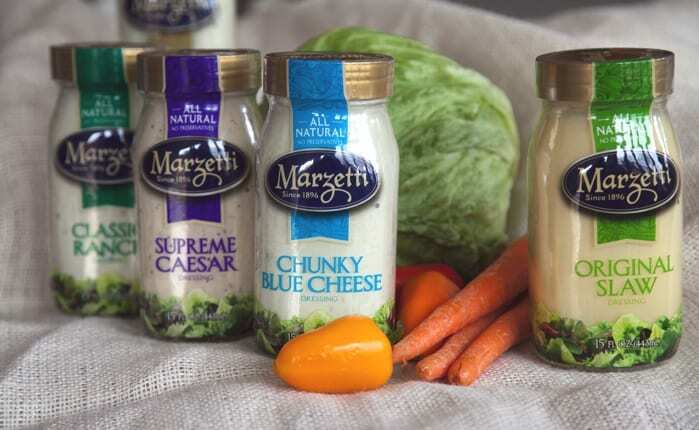 Thanks to Marzetti for sponsoring this post and inspiring our recipe with their delicious salad dressings. How sweet!!! 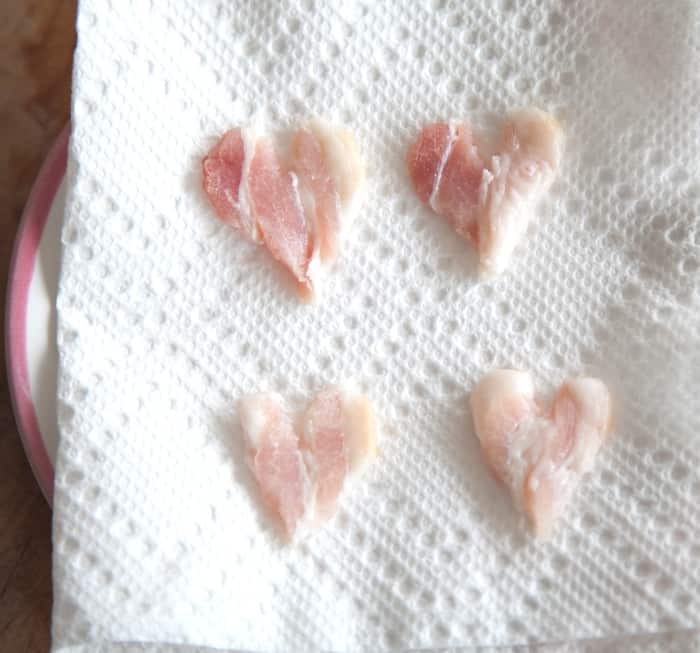 I love these beautiful small hearts of meat. 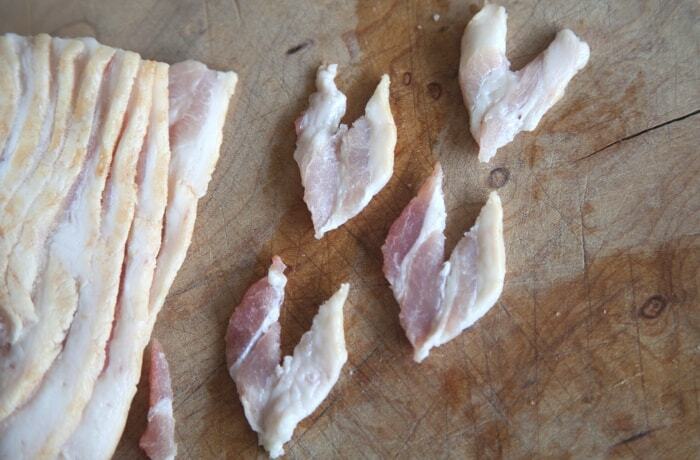 The bacon/salad lover in me is totally rejoicing right now! So creative, as usual.